Lebanon: 12 Islamonazis of Iran’s Revolutionary Guard Corps killed as IDF jets strike Iranian/Syrian military targets……. – The Tundra Tabloids……. Lebanon: 12 Islamonazis of Iran’s Revolutionary Guard Corps killed as IDF jets strike Iranian/Syrian military targets……. The report further claimed three squadrons of Israeli jets carried out the attack on Syiran positions. Twelve soldiers belonging to Iran’s Revolutionary Guard Corps were killed in Sunday’s Israeli airstrikes on Damascus’s International Airport, the UK-based NGO Syrian Observatory for Human Rights charged on Tuesday. The report said 21 people were killed in total, including six members of Bashar Assad’s regime forces and 15 non-Syrian nationals. The report further claimed three squadrons of Israeli jets carried out the attack on Syiran positions. 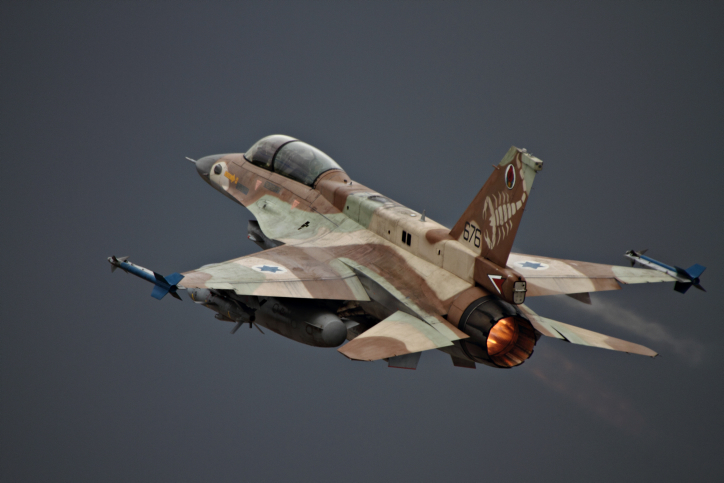 IDF fighter jets struck Iranian and Syrian military targets, air defense batteries and Quds Forces positions throughout Syria in the predawn hours of Monday. The military targets belonging to the Quds Force included weapons storage sites, a site at Damascus Airport, an Iranian intelligence site and an Iranian military training camp. According to IDF spokesman Brig.-Gen. Ronen Manelis, the airstrikes were carried out in three waves in response to the Iranian Revolutionary Guard Corps firing a surface-to-surface missile a day earlier toward the Golan Heights, which was intercepted by the Iron Dome missile defense system. The missile fire drew a rare response from Israel, as it carried out daytime strikes on Syrian targets. Previous Post Previous Post Dr.Manfred Gerstenfeld: Netherlands, Keeping Looted Paintings And Other Mischief Against The Jews……. Next Post Next Post Finland: Turkish Embassy employees suspected of organizing illegal entry – hundreds of visas are being investigated…….